Boxing pound-for-pound lists are never more than mere thought experiments. They represent opinions that can never be tested. In no universe will Andre Ward ever face Terence Crawford, let alone Vasyl Lomachenko. All three are great fighters. But comparing them is ultimately nothing more than apples to oranges. Still, pound-for-pound lists represent an interesting snapshot of the sport at any given moment, and of a set of observers who pay particularly close attention to what is going on. Right now, that snapshot would show those observers scrambling to make sense of this past weekend. Since Floyd Mayweather’s retirement, there has been a consensus agreement that Roman Gonzalez was the new pound-for-pound king. 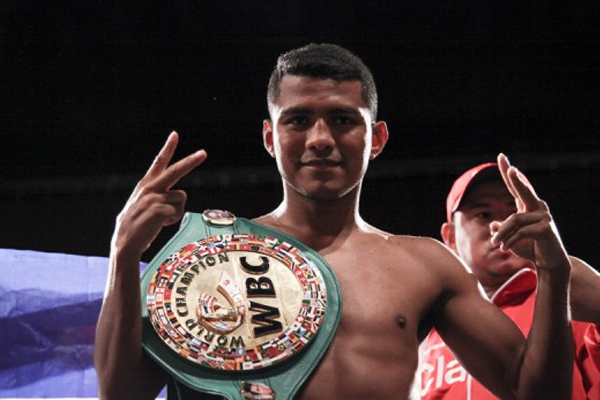 Chocolatito entered this past weekend as an undefeated, four-division champion, undefeated in 46 fights, with 38 of those wins coming inside of the distance. But Saturday night in Madison Square, the Nicaraguan star lost a thriller by majority decision to Thailand’s Wisaksil Wangek. Gonzalez had shown signs of vulnerability in his previous fight at 115 pounds, when he took the WBC super flyweight belt from Carlos Cuadras last September, in what I viewed as the year’s best fight. I thought Gonzalez deserved to win that bout, but that Cuadras was in control late in the fight and had done enough as the defending champion to clearly deserve a rematch. Obviously Gonzalez can no longer be viewed as the world’s best fighter coming off from a loss. But it will be interesting to see where groups like The Ring or The Transnational Boxing Board rate him following this setback. Should he be completely dropped from the top 10? If not, then shouldn’t Wangek be placed somewhere above him? But that would represent a sudden sky-rocket upwards for a fighter who was relatively obscure before this weekend. It will also be interesting to see how people react to Gennady Golovkin’s controversial win over Daniel Jacobs on the same card. I thought Jacobs deserved to win the bout, although it was too close to view as a robbery. But Golovkin has been a fixture in the top five of pound-for-pound lists. Even those who think he deserved to win, have to acknowledge that Jacobs gave him fits for long periods of that fight. So where does that leave Jacobs? As I said, it will be interesting to see how people react. I haven’t decided what to do myself.